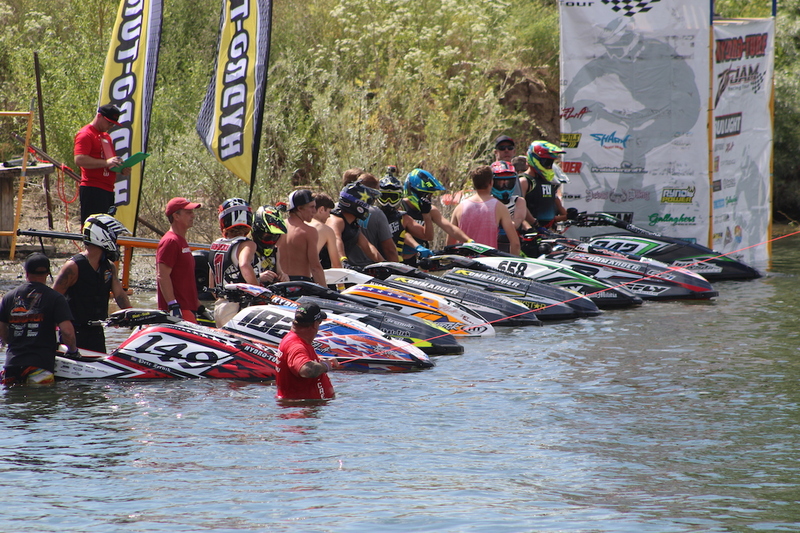 Gallery: Hydro-Turf Jet Jam Idaho Shootout | The Watercraft Journal | the best resource for JetSki, WaveRunner, and SeaDoo enthusiasts and most popular Personal WaterCraft site in the world! 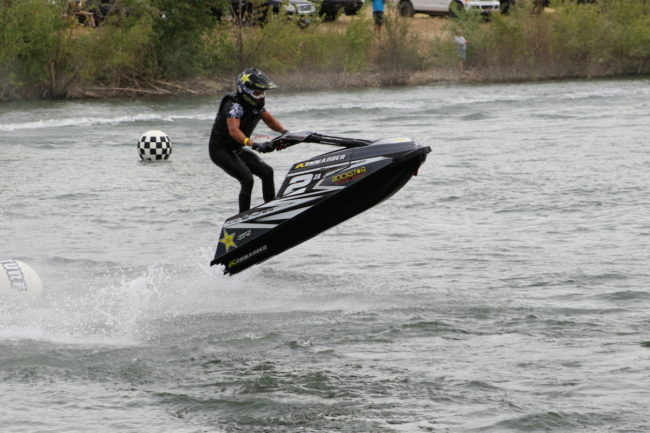 After a long hiatus from jet ski racing, Idaho was looking to make a come back in a big way. 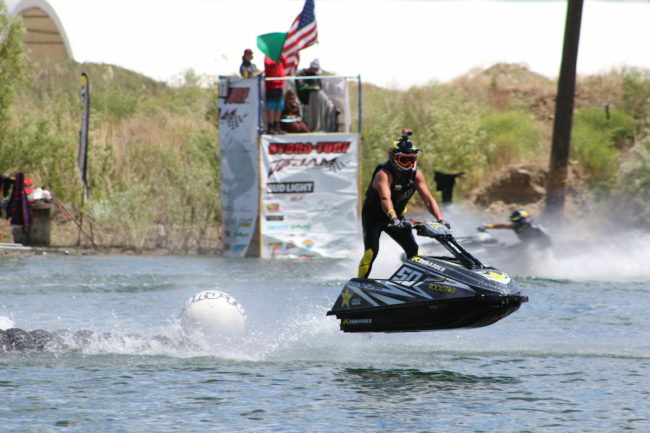 With sponsors like Hydro-Turf, Fly Racing, Bud Light, Hayden Beverage, Mike’s Hard Lemonade, and Pro Watercraft Racing, quickly jumping on the bandwagon it was a go. With a pro purse big enough to draw some of the biggest names in the industry. With most of the competitors driving from out of state, and some of them even driving as many as 16 hours to the quaint little town of Caldwell, Idaho. This would be the first chance for a lot of the riders to shake hands with the so many of the people they have only talked to or seen on social media. 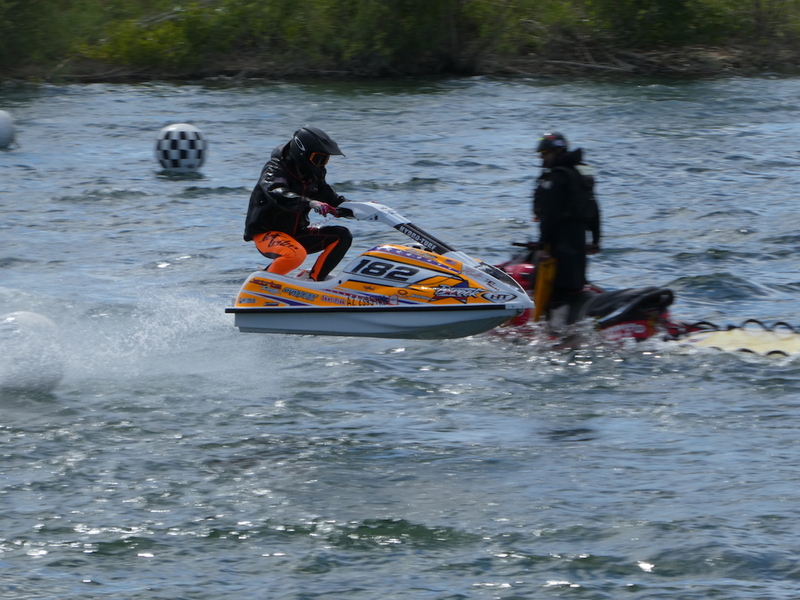 A great majority of the area’s local riders, and spectators have never had a chance such as this to see let alone compete in a closed coarse race of this magnitude. The red shirt crew set the coarse, and opened registration, and the lake roared to life with the sound of jet skis practicing for the days of racing yet to come. With all classes represented on the water, from the JS550, to the 300hp runabouts, the feeling in the air is that this was long overdue. As morning broke on Saturday, you could feel the anticipation from everyone on sight. When the riders meeting was called to the registration area, this would be the first time a lot of these racers would be face to face. 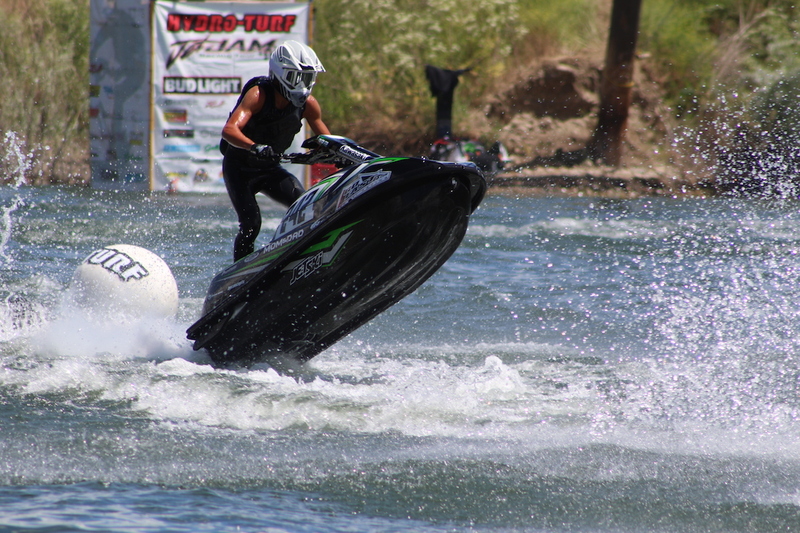 The schedule was set and the safety crew is on the water, it’s time to go racing. 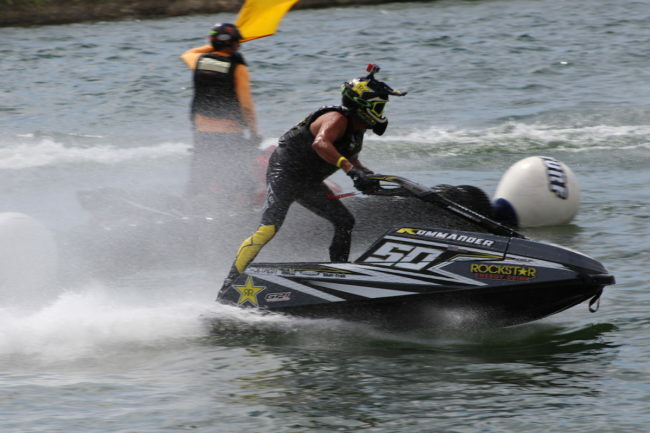 The two moto per day format became a daunting reality to some of the racers. The action commenced with the snap of the first band, drag racing down the straights, dog fighting through the split, bar to bar runs across the finish line. Even though the wind came up in the middle of the day, and a little bit of rain, the smiles were still very prevalent all up and down the shore line. 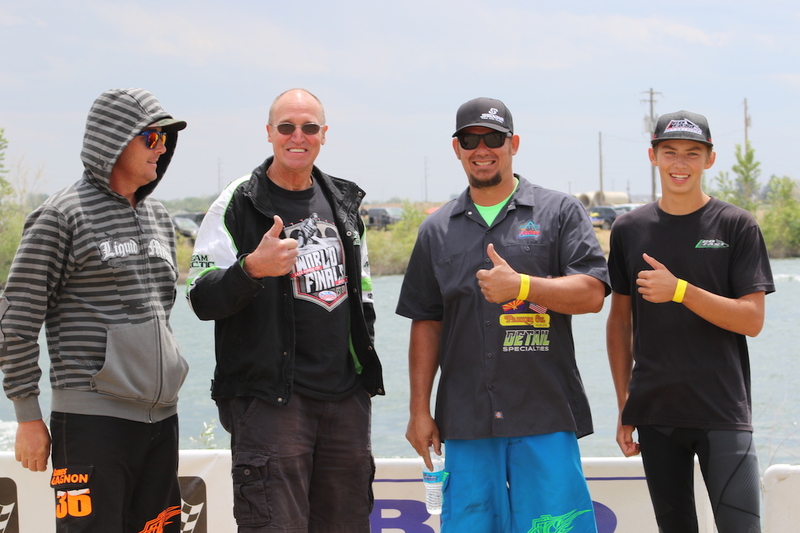 As the race day came to a close, you could smell BBQ’s being ignited, and hear laughter about the stories being told of the highs and lows of the days events. After a brief riders meeting Sunday morning, the first moto was under way. For most of the riders the first race jitters were shaken off the day before. 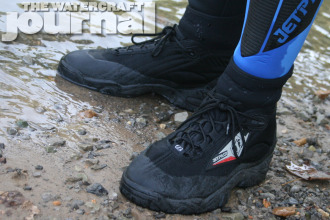 The classes seemed to get faster and tighter as the second day of racing commenced. 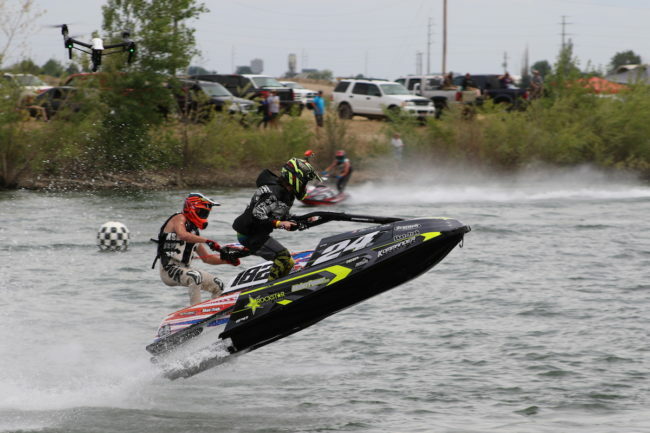 While making it more fun and a greater challenge for the racers, it also pulled the spectators ever closer to the edge of their seats. 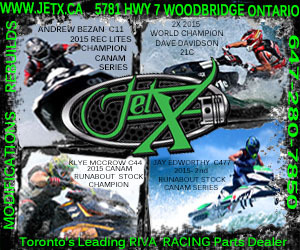 As for the big race of the weekend, with a 4 moto race format drawing in big names in racing like Dustin Motzouris, Brock Austin, Aaron Gewecke, and David Redinger, the stage was set for one of biggest money races of the season. 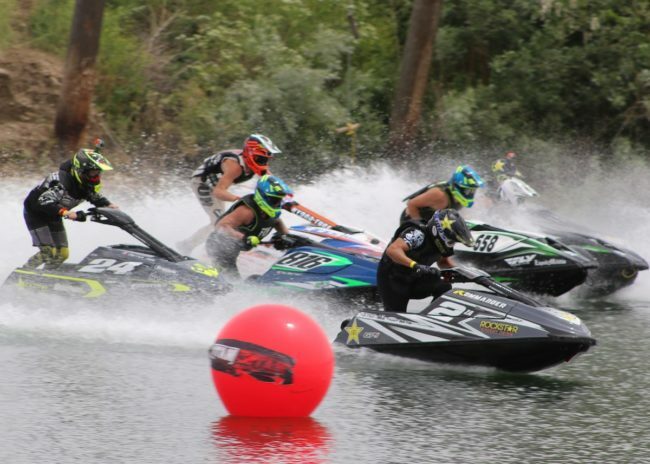 One racer quickly made it clear that this was not going to be easy for anyone, as Dustin Motzouris locked down the number one spot all four motos, followed closely by his brother and teammate Tyron Motzouris, with Preston Matsdorff coming in third, despite his injuries and having to go to a back up ski for day two. The race weekend drew to a close with the awards ceremony. The big checks being handed to their deserving winners, and the trophies being awarded to all the other class winners. All the sponsored give aways being handed out almost everyone left with something in hand. Racers and families packed up and started rolling out. For some it would be another 16 hour drive, and for others it would be a short drive down the road, but for almost all the community and camaraderie was very present. When you combine that with all the local promoters, Jet Jam Racing, and their crew, it is easy to see the sport of jet ski racing will be alive and well for years to come. 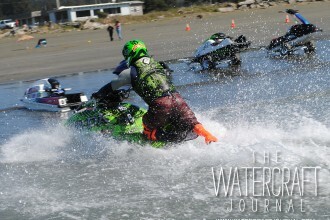 The Watercraft Journal is the industry's ONLY daily source for personal watercraft and product reviews, news, ride recaps, and how-to articles that will bring more enthusiasts better content faster. 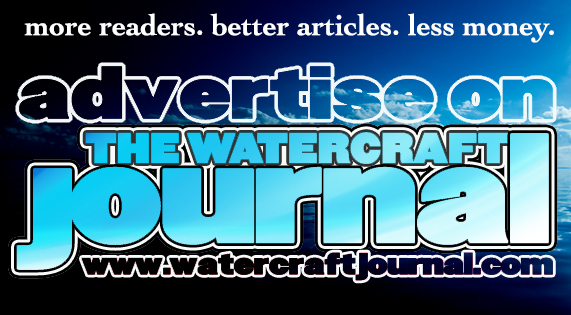 Updated daily with informative articles and honest reviews, The Watercraft Journal provides riders all the data they need to make an informed decision and pick up the best products the industry has. 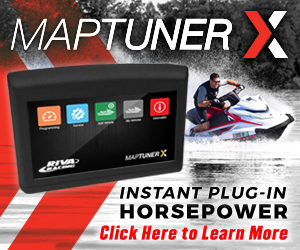 Nowhere else can personal watercraft enthusiasts find professionally-written content updated daily, more pictures from first-hand and next-day event coverage and vehicle reviews, and eye-catching videos from across the globe.